February is where the dead men roam and as a result someone tried to release a remake of Dad’s Army. Their reasons will remain their own because I’m not watching it. Other notable box office disasters acts for the month included Ben Stiller’s inexplicable Zoolander 2, bland heist actioner Triple 9 and my second FILM(s) OF THE YEAR Gods of Egypt, but more on that later. Meanwhile, The Coen Brothers continued their odd alteration between serious and high camp by getting Clooney to hit the ham with Hail, Caesar! The whole Coen clan got fully involved too but added the meaty talents of Channing Tatum to the mix, isn’t he dreamy? Positive notices rolled in for British ski-jump comedy (a narrow genre) Eddie the Eagle and wilful opprobrium justifiably headed to Sacha Baron Cohen for his poverty comedy Grimsby. 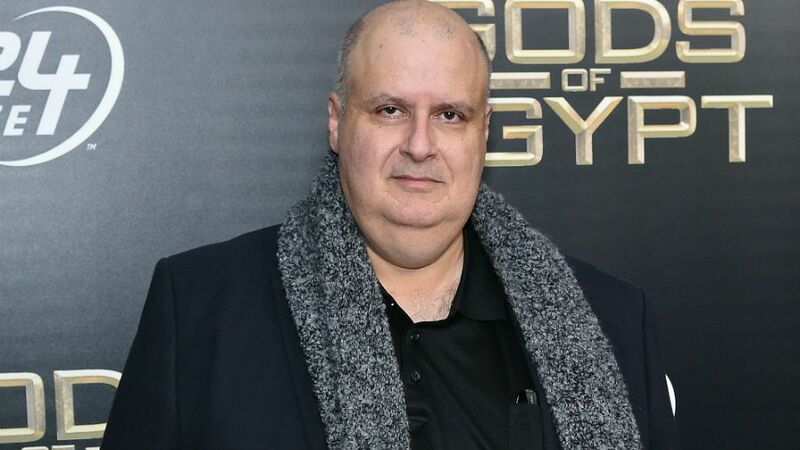 Your serious film critic would have actually watched Midnight Special and probably be recommending it, but I’m an occasional contrarian so when faced with the choice I watched Alex Proyas’ Gods of Egypt. Which everyone else seemed to hate. Currently stood at a mighty 16% on Rotten Tomatoes this is the $140 million film that died on its arse in America (a quick look shows that it did find an audience elsewhere taking $100 million+ elsewhere). And in its death it managed to send its director in to paroxysms of fury at everyone within range, spouting that critics are ‘diseased vultures’ and burning all the bridges he could find. 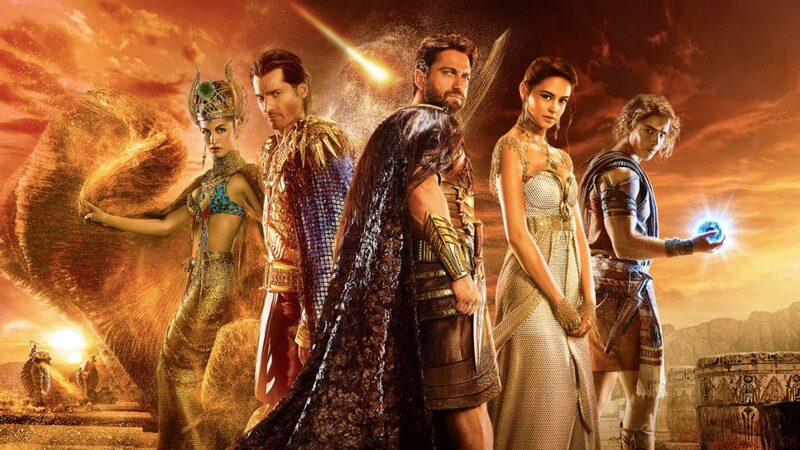 The truth is that Gods of Egypt isn’t very good. It’s slightly camp, filled with curiously dodgy CG effects and completely, unapologetically batshit weird. I mean, weird. Explanations are brief whimsy and more focus is put on the sheer velocity of the film. It’s just mad. And for that, I really like it. I do. It doesn’t seem to care about doing what is expected in the fairly stale blockbuster arena. It has big daft action sequences that seem to have come from the mind of the unhinged. Witness Geoffrey Rush as sun god Ra, resplendent in a bald cap and ponytail, sat on his space catamaran pulling the sun around the disc shaped planet. 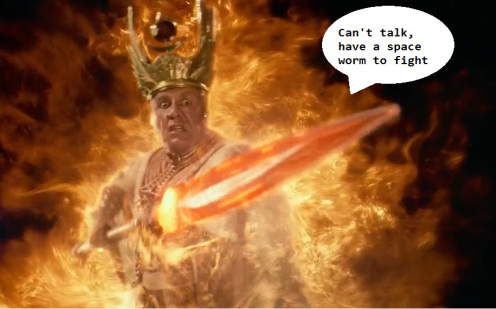 Marvel at how he has to use his glowing fire-staff to shoot bolts of sun-energy at a giant Lovecraftian space-worm made of teeth and nightmares. Feel free to re-read those sentences. That’s in the film. Pair scenes like that with the titular Gods, 14 feet tall with bizarre robot-armour forms glistening in the crisp clean sunshine sets, a trip to the underworld complete with conversational Anubis, some imitation Harryhausen CGI and some really big snakes. This is what a film looks like when it isn’t made by committee. This is a vision. It’s not a great vision. It’s riddled with flaws, it’s very silly and it can’t be bothered with seriousness or any dour grim re-telling of these stories. And for that reason, I really like it. I like that it’s brave enough to be what it is. That, as daft as it is, it felt like a different kind of epic. I did have reservations about the whitewashing debate that raged around the film’s production and release but upon watching it, it’s fairly clear that race joins a long list of things that Proyas decided to ignore, like historical accuracy and physics. I don’t think people will like Gods of Egypt. I’m not even sure I can recommend it because, objectively speaking, it’s a bit crap. But it deserves defenders for its whole hearted approach to being what it is. Which is a fairly lavish stroke of craziness.